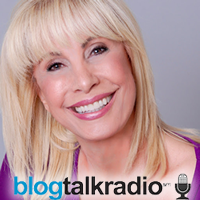 What an honor it was to appear on Blog Talk Radio with Nadia Sahari. Nadia’s show is dedicated to interviewing Orange County entertainment and creative professionals who have motivational or encouraging stories. Previous guests of her show include many amazing talents including composer and singer, Nadine Mansour as well as producer, Gary Shusett. We’d like to say thanks, again, to Nadia Sahari and Blog Talk Radio for allowing Tino to come on the show.It was truly a wonderful experience! Listen to internet radio with The Nadia Sahari Show on Blog Talk Radio. Book Tino Productions for Your Next Event! If you are looking for Los Angeles Entertainment and interested in having Tino Macchia and Tino Productions perform at your next event, please visit their website or contact Tino at (949) 597-TINO.